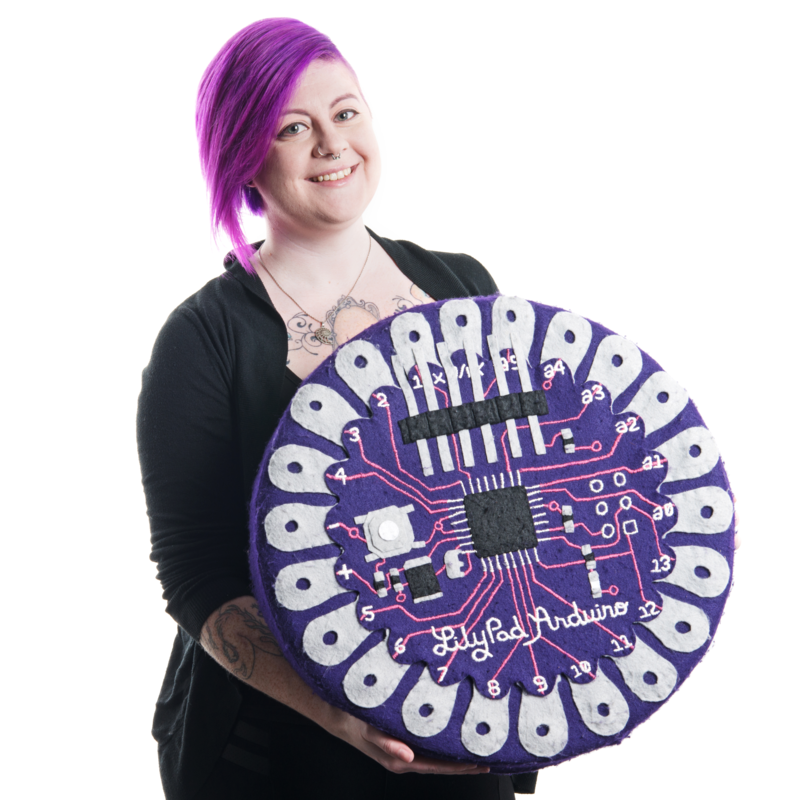 The micro:bit's small size makes it a great candidate for exploring wearable technology projects and ideas. Here are a few projects we've found that use the micro:bit for costumes, fitness tracking, and more. 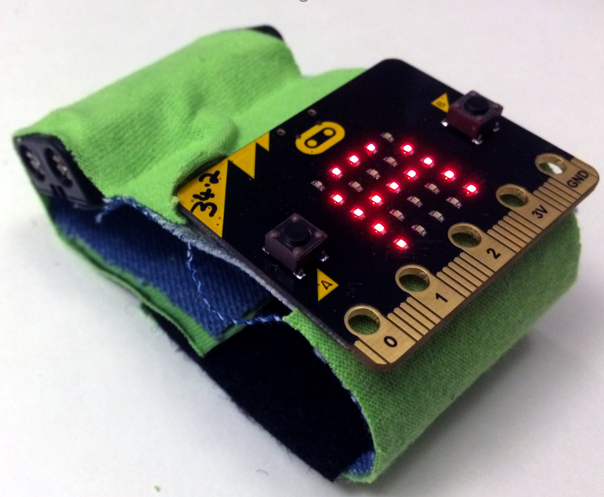 Learn how to make a wearable cuff to hold a micro:bit from scrap jeans and t-shirt fabric in this step-by-step tutorial. The micro:bit can then be used as a fitness tracker, watch or other wrist-based applications. 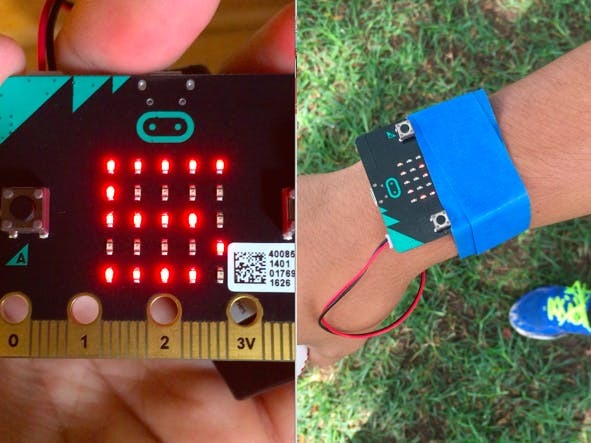 Take the micro:bit out on the field with this wristband that utilizes the board's built-in accelerometer to gather data on the wearer's arm movement. This project also pairs two micro:bits - the pitcher's board sends data to the coach's board to track number of pitches. Inspired by the game Pokemon Go, in which players have to walk around for a certain distance to hatch virtual Pokemon eggs, this project from Tech Age Kids uses the micro:bit's accelerometer to create a step counter with a reward - reach the set amount of steps and an egg animation displays on the board's LED array. This project from Tech Will Save Us combines the micro:bit and conductive fabric and thread to make a glove-based dexterity game. 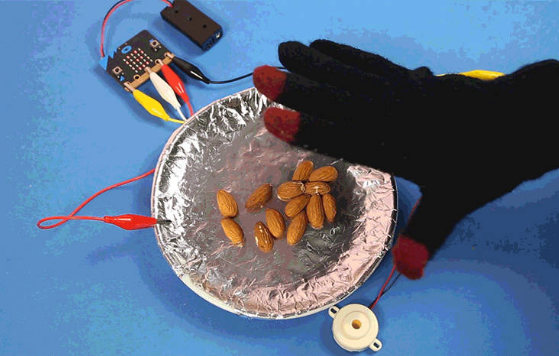 Place objects on a plate covered with aluminum foil and try to pick them up without touching the metal in the gloves to the surface, which makes a buzzer sound. 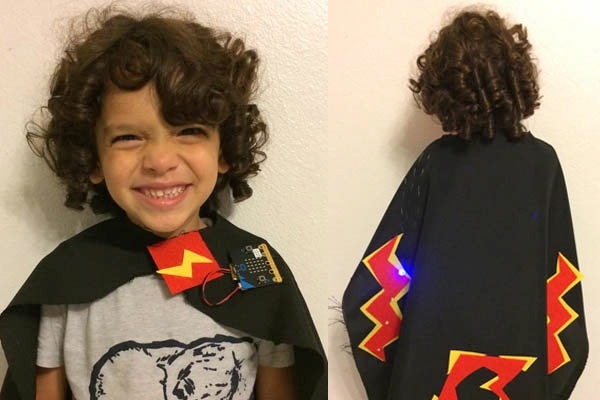 Over on SparkFun's Inventorspace, learn to craft a custom light-up cape using the micro:bit and sewable LEDs such as the LilyPad Pixel Board and conductive thread. Get creative designing the superhero logo in addition to the circuit layout for the LEDs.